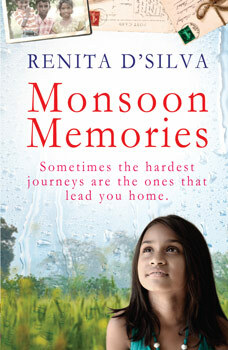 So here it is- the cover for Monsoon Memories. 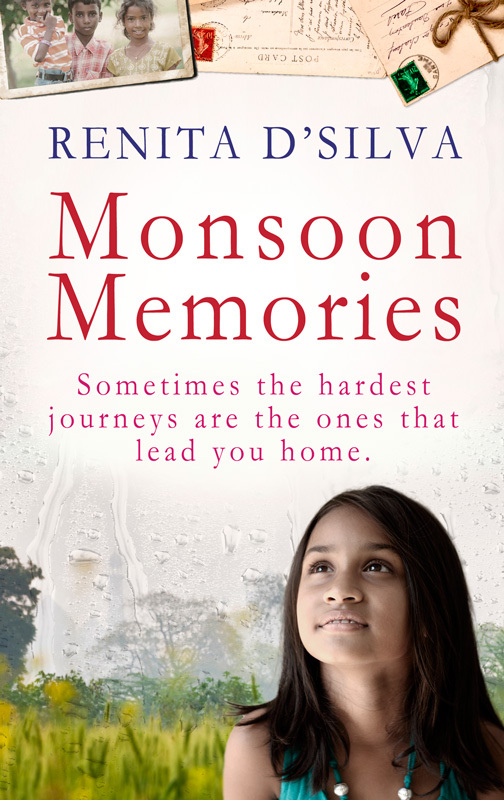 When Monsoon Memories was accepted for publication by Bookouture, I was thrilled beyond belief. The thing I had fantasised about so often, for so long, was actually happening! And then, when I went to my publisher, Oliver’s website and saw the covers he had worked on authors like Nora Roberts, Debbie Macomber and Diane Chamberlain, haunting beautiful covers that I had oohed and aahed over in bookshops and that had made me want to take a peek inside, I couldn’t believe my luck. And so I waited with bated breath for my cover and as you can see for yourself, I was not disappointed. It is more beautiful than I imagined when I was writing the book. Reena is absolutely lovely and spot on. What awes me is how much the cover says about the book. I love the way the monsoons are depicted: by a hazy backdrop of rain. I am so grateful to Oliver and Bookouture for producing such a superb cover for my book. I hope you like it just as much as I do. If you could share it with your friends on Facebook, I’d really appreciate it! 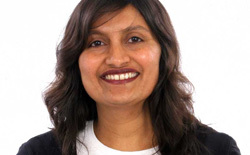 Renita D'Silva loves stories, both reading and creating them. Her short stories have been published in 'The View from Here', 'Bartleby Snopes', 'this zine', 'Platinum Page', 'Paragraph Planet' among others and have been nominated for the 'Pushcart' prize and the 'Best of the Net' anthology. 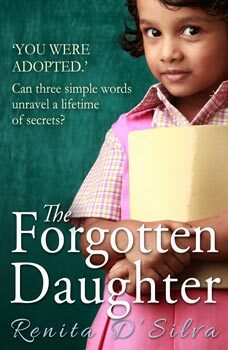 She is the author of 'Monsoon Memories','The Forgotten Daughter', 'The Stolen Girl', 'A Sister's Promise', 'A Mother's Secret' and 'A Daughter's Courage'. Next: Do you believe in omens? Wishing you all a very happy Christmas and a wonderful 2016! Wishing you a merry Christmas and a wonderful 2015!